Unibridge® has always listened to their clients and customers needs and consistently solved ever evolving problems with a level of professionalism and pre-engineered excellence unmatched in the bridging community. The Farm Bridge by Unibridge® is another example of this market responsiveness that has been the trademark of Unibridge® throughout the years. The Farm Bridge is designed to carry loads up to 20 tonnes and transports to site in a single 40 foot container. 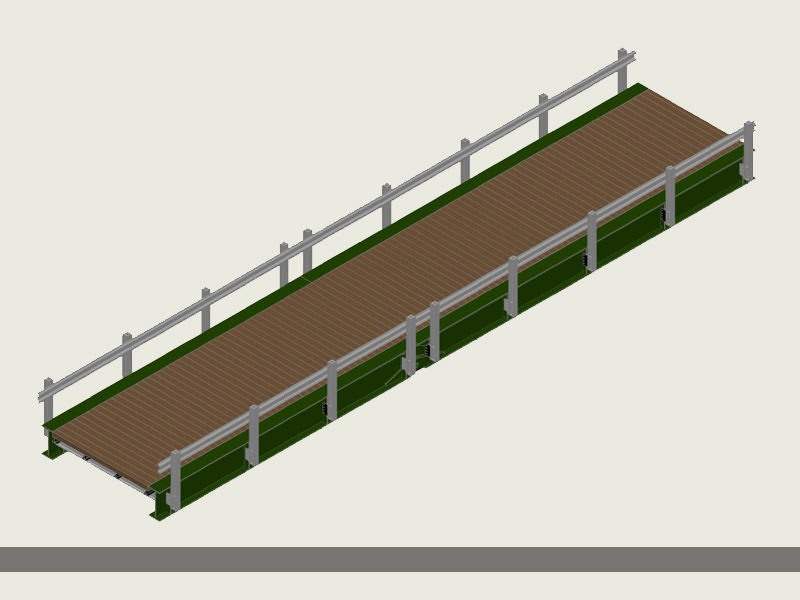 A patented wooden deck system ensures that livestock farmers will have no unforeseen problems with livestock crossing their bridge as well as reducing the overall cost of the Farm Bridge. The Farm Bridge is designed to be unpacked, assembled and put in place with equipment normally found on most farms across Australia in less then a day. The same modular technology that is a hallmark of Unibridge® is found in the Farm Bridge making it easy to install without the need, or expense, of enlisting engineering firms and construction crews to do the job.